In case you haven't noticed the store shelves drowned in or the red and white M&Ms in the check-out aisle, it's almost Valentine's Day. It seems to me that it is a controversial holiday. People either ferociously love it, or they wish that Cupid would turn his arrows upon himself. I've heard more than one graphic death wish for the winged demigod. I have mixed feelings about the importance of the day, but I do recognize that it's fun. Whatever your feelings, I encourage you to read this post by Cat Valente about the holiday. It will make you think. Now, on to more silly business. 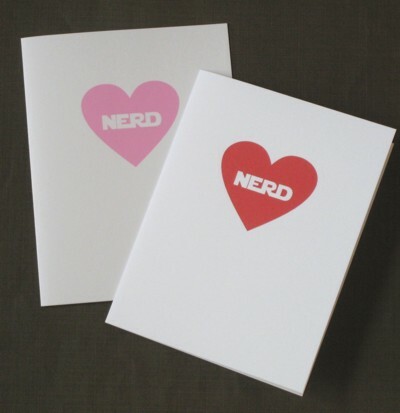 I have seen a lot of geek themed Valentines to print, make, or buy. I meant to get my act together and send these to my wonderful geek friends across the country, but I sort of lost track of time. Oops. If I would have been more on top of things though, here are the Valentines I would have given. 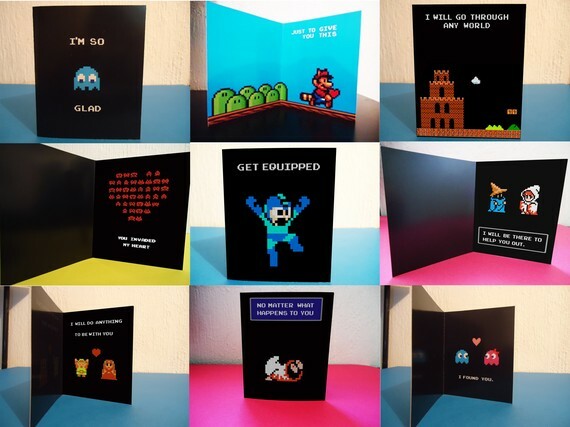 8-Bit Valentines by Kira Cards - It might be sad, but I really haven't played many video games since the 8-bit days. 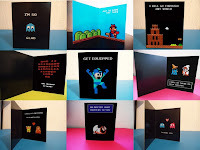 These cards cover some of my favorites Mario, Final Fantasy, Donkey Kong, and so many more. You can even buy variety packs with a five of your favorites. Printable Star Wars Valentines - Geekologie has collected Valentines designed by freelance illustrator James Stowe. The artist made them for his son who likes Peanuts and Star Wars. He created six cards (one for each Star Wars movie) that mashed the two styles, and they are adorable. Download them and share the Star Wars love. Nerd Love Cards by justJENNDesigns - What better way to tell your geek that you love them? These are blank inside; I don't recommend signing them "I know." Check out her shop for other adorable designs, like Robot Love cards (no red spines here, get your mind out of the gutter)! 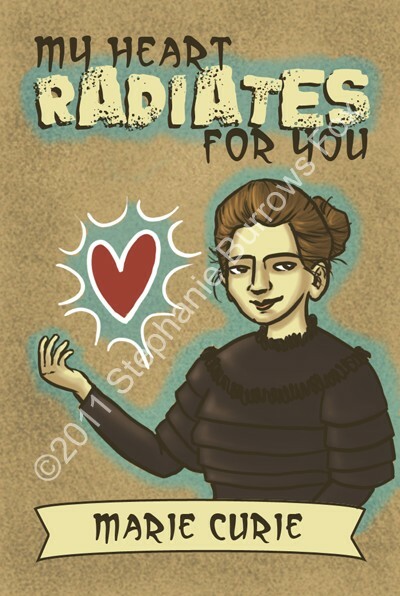 Science Valentines by Stephoodle - These science themed Valentines are beyond wonderful. The Marie Curie card above is sold in a pack with Stephen Hawking, Ada Lovelace, Carl Sagan, and more. Science and love. Good combo. 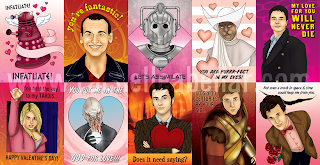 Doctor Who Valentines by Rachelle Abellar - How many times can I say the word fantastic? I'm a new Whovian, and these made me leap at the screen with glee. She represents all of the new Doctors and I recognize a lot of things even though I am only just finished with the second series. The Dalek and the Ninth Doctor Valentines are my favorite. 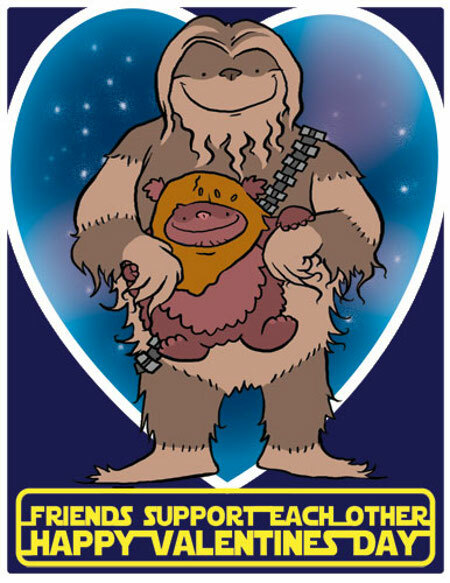 Finally, visit this post at the Super Punch blog for lots more links to geektastic Valentines. Before I forget, I should go ahead and buy some of these to save for next year. Dear god in heaven, that Heisenberg card may possibly be the greatest thing that has ever existed!!!! Love the Dr. Who cards. I just received the Doctor Who cards I ordered, and they seriously rock.